Epigenetics (or heritable epigenetics, or neo-Lamarckism) is a series of different processes that can cause evolutionary changes as well as dictate how organisms develop from a single fertilized egg (in the case of sexually reproducing organisms, at least) to what we look like as adults. Some say it’s just a minor tweak of already understood processes and that it’s of little importance in the broader scheme of evolutionary change or the past or even future history of life. But to others epigenetics, while still poorly understood, is potentially of far greater importance than mainstream evolutionary theory, and mainstream evolutionists have heretofore accepted that. To a few, its ongoing discovery is causing an unfolding scientific revolution. But the discoveries have not happened evenly among the many fields within what we call “biology.” The great breakthroughs have mainly been studies looking at cells, and the molecules within cells, including DNA and RNA and other aspects of genetics. But to date there has been little if any progress in tying epigenetic change to the many events evidenced by fossils and the fossil record. In a biology world struggling to rescue as much Darwinism intact as possible from its tottering ruin at the hands of genomics, Ward’s approach is being treated defensively in many quarters, despite the mess speciation is in. That is likely to change. See also: Anthropologist John Hawks is cool to epigenetics shedding light on evolution The assertion that natural selection can account for complex, detailed changes, given enough time, is a mantra: That is, if specific probability calculations render that unlikely, so much the worse for probability theory. Responses like this from a usually level-headed thinker mainly demonstrate that epigenetics is likely to upset quite a few applecarts. 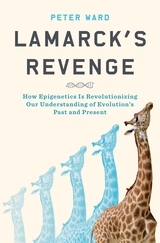 Epigenetic change: Lamarck, wake up, you’re wanted in the conference room! I always wondered at the number of similar looking dinosaur fossils that were invariably named as different “species”. Given geographical and chronological variations, many of them may well have been the same species. Think of dogs: if future paleontologists found a great Dane partial skeleton and elsewhere a handful of Chihuahua bones, would they just assume they were different species? And why do we give different species names to Darwin’s finches when we know they can interbreed? The definition of “species” seems to be quite elastic. Fasteddious at 1, yes, that is a problem. The biological species concept doesn’t really apply f we cannot be certain which dinos had offspring with which others.